New Zealand’s wait-and-see approach on interest rates will have big implications for our currency, says trader Steve Ruffley. Worldwide, there’s a lot happening. The US is in a trade war. Brexit is gripping the UK and European Union. China is changing its one-child policy, and the Saudis are launching the world’s largest wealth fund. So, what’s been going on here in New Zealand? Not much really, and that could have a big impact on our currency value. While the rest of the world is moving on, our wait-and-see approach on how the economy and currency price will fare has attracted little attention. The US Federal Reserve says there’s one more interest rate hike to come this year, and potentially three in 2019. The UK will undoubtedly raise rates again the next six months, and the EU has suggested a rate rise in late 2019. But what about the Reserve Bank? “Rates could go up or down,” it says. If rates are not going up, they’re staying the same, or for the more speculatively-minded, they’re probably going down. The global markets see and hear everything. They also bet on everything. The battlefield for currency markets has long been about expected growth. The New Zealand dollar had a short-lived rally on news of a 1 per cent growth in Gross Domestic Product (GDP) in the June quarter. 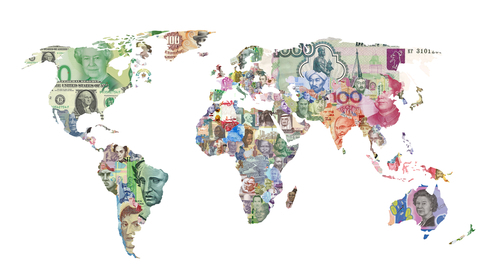 The New Zealand dollar used to look like a safe pair of hands in an uncertain world for diversification, but we’re now in global trading terms ‘risk-on’. The focus now is on returns and which currency offers this. I don’t believe it will be the New Zealand dollar. Politicians will tell you that a low currency rate is good for the economy. After all, New Zealand is a net exporter. Its main industry is tourism. The more tourists coming in, the more money too. But a low currency rate means the cost of imports go up. Food, petrol, and spending money for travel overseas will all cost you more. To trade the New Zealand dollar, you have to ask which currency will be worth more in six, 12 or 24 months from now? What will currency speculators buy instead? The obvious one is the British pound (GBP). There was a noticeable drop in the GBP versus the New Zealand dollar after the unexpected Brexit vote. That drop will partly be made up or, over time, maybe even erased. But here? There are 4.8 million people in New Zealand. The country has cut immigration, placed restrictions on foreigners buying houses, has a very modest 1 per cent GDP growth, and stalling business confidence. Compare that with London. Which do you think a major currency speculator would bet on? With the Reserve Bank giving very little idea on its plans to increase the value of the New Zealand dollar, speculation and market forces will take over. Most experts say the New Zealand dollar versus the US dollar will stay in a range between 0.64000 and 0.69000. The GBP versus the New Zealand dollar will await the Brexit outcome. And me? I see a fall in the New Zealand dollar versus the US dollar to 0.59719, and a rise in the GBP versus the New Zealand dollar to 2.05706 in the next six to 12 months. Brexit: A combination of the words Britain and exit, to form Brexit. It’s a shorter way of saying the United Kingdom is leaving the European Union next year, after a vote took place in June 2016. Diversification: Diversifying is about having a wide variety of investments, which reduces your risk. It’s about not having all your eggs in one basket. Gross domestic product (GDP): GDP is a measure of a country’s market value. It covers all goods and services produced within a timeframe and can be used to compare nations. Speculator: Someone willing to take risk over short periods, usually by betting on short-term price movements, through things like trading, rather than buying and holding quality companies.